Canine fitness and rehabilitation (and equine fitness/rehab) are now the new very cool must-dos for everyone participating with their pup in dog sports. I think this is AMAZING. The more people who know about this amazing field the more pups will avoid injury and return to full function if they are injured. It has, however, led to a lot of confusion about the level of training that practitioners have. Here in Australia there is no regulation protecting you or your animals from people with no training. It has resulted in people advertising that they are canine rehabilitation specialists after attending a course that has no veterinary input. Veterinary input is vital to ensure that the differences between humans and companion animals are understood. There are many canine diseases with the same name as human diseases, that have completely different underlying mechanisms. I will not deny that this makes me a little scared. Sometimes I see dogs that have been treated by individuals with inadequate training and some of these dogs have had treatments that are contraindicated and some have had adverse outcomes. There are no ramifications for unqualified practitioners, unlike vets, physios, chiros and osteopaths who can all have their licence and ability to practice revoked if they are negligent. Hopefully one day there is a group that will register everyone that has an interest in canine sports and rehabilitation here in Australia so that there are minimum standards, and regulations to protect the innocent animals. Human trained physiotherapists, chiropractors, osteopaths all have a place in canine care, they can offer treatments that the veterinary field have not even thought of. They bring a different mind-set and experience. But once again, they must have further training in the differences between humans and animals. Further they need extensive training in animal behaviour, low stress handling and animal body language to be able to offer a safe and effective treatment for your pet. 1. Check the credentials of the practitioner before attending. Check the course that gave the person their credentials. If it is a course taught with no Veterinarian involved, then it is unlikely to truly cover the necessary aspects for working on animals with injury. If your dog has an injury then they need to be cleared by a veterinarian prior to seeing a professional. Further if there is an active injury your pet needs to be seen by a licensed, degree qualified, professional. It is not appropriate to go to a massage therapist without first getting a diagnosis and a list of safe and unsafe activities and treatments. Your therapist can then tell you if it is appropriate for your pet to have a massage. A massage therapist on the other hand is perfect during a comp to help flush waste products from your pets body and help them relax. Canine Fitness therapists are best seen after an all clear has been given by a rehab professional. We cannot deny that dogs are amazing at getting the job done and masking injury. 2. Give feedback to your health care team. If your pet is uncomfortable during a consult, step in and stop the process. If they do something that makes your pet painful or deteriorate then let them know. Further if you find that they have made an incorrect diagnosis (technically only vets are allowed to make a diagnosis in Australia, and anyone else telling you that your dog has hip dysplasia or cruciate disease is breaking the law) you need to tell them. This helps them grow and improve their service. 3. Be prepared for a team approach. We all bring different skills, past experience and techniques to the table. A multidiscipline team will help keep your pet safe and ensure the best results. 4. Watch the Dr title. You can get a PhD in business and call yourself a Dr. This can be misleading in the medical world with non-veterinarians leaving out that their qualifications are not relevant. Here is the list of credentials that I have found in the last 24hrs. I hope, with time, to link to the courses they represent to make it easier again to research what the qualification is but my brain is currently melted. Please let me know of any to add or if I have put one in the wrong category. Licensed with the Veterinary Practitioners Board in their state. Would require further training in manual therapies and rehabilitation. Will be able to see animals as a first point of contact. Licensed with the practitioners board in their state/country. Require further training to work on animals and potentially in other modalities ie rehabilitation. May be able to see animals without referral in some states/countries, in others will need Veterinary referral. Courses that have pre-requisites that require practitioners to be registered/licence to practice in one of the above areas of study. 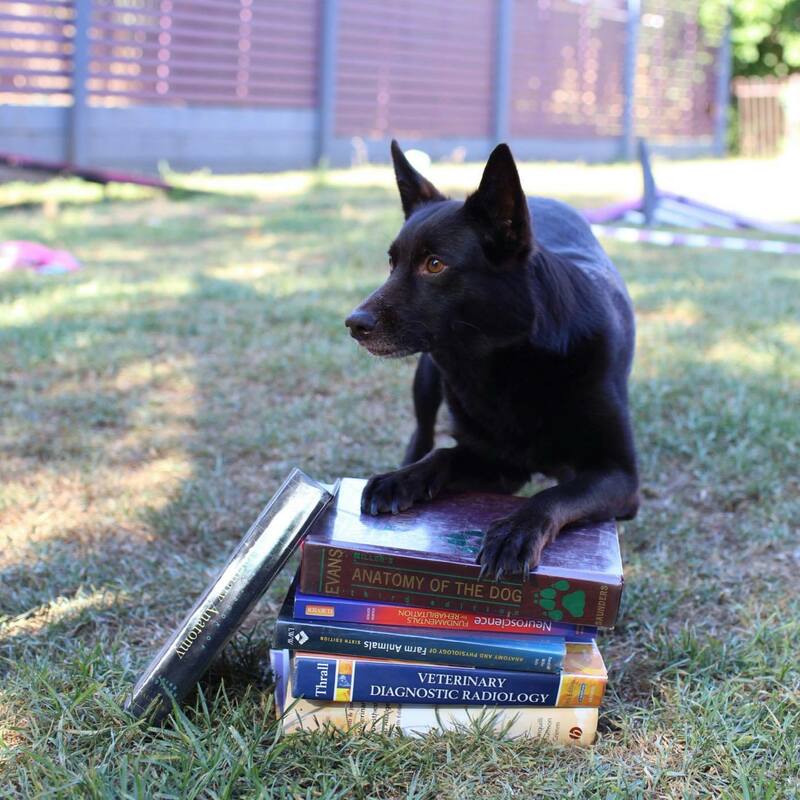 CCRP- Certified Canine Rehabilitation Practitioner **Veterinary nurses are also allowed to do this course and are not licenced here in Australia (They are in the US) so please look for additional qualifications when assessing this particular certification. General rehabilitation or health courses that have no degree level pre-requisites. Appropriate to go to with an animal who have been to see a professional if they have had an injury for assessment first. Licensed professionals may take these courses but check for additional qualifications if you are going to them with an injured pet. Fitness courses that have no degree level pre-requisites. Appropriate to go to with animals who have been cleared as healthy for performance improvement. Not appropriate for injured or recovering dogs. Soft tissue massage courses that have no degree level pre-requesites. « TO INFINITY …and BEYOND!! ** How to chose the right size for your dog! This is a long overdue conversation/discussion and hot topic. I own a small dog training business, I’m a licensed Occupational Therapist , and certified dog trainer and I’m studying like crazy to learn more about canine fitness. That being said- NEVER will I step outside of my scope of practice. There are a tremendous number of dog trainers offering “ Canine Core And Fitness” classes that would be quite challenged if asked to name the muscles and their functions but thinking nothing of putting dogs on inflatables and say they are working on the dogs core. It scares me! I think it’s outstanding that dog owners and trainers are becoming more aware of the fitness and wellbeing of our canine companions. Let’s all work together for the common good being mindful of our skill set and limitations. Love your suggestion that we all work together for the common good! Thanks, Jeannie.